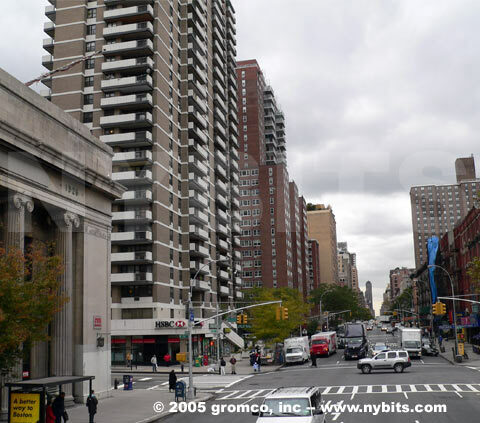 Amsterdam Avenue is a four car lane avenue with synchronized lights. People driving in the city know that if they “time the lights right” they can go from 60th Street to 108th Street and hit a light just once “if they are lucky”. Therefore motorists tend to drive their car as if they were on a highway with little respect for the 30 mph speed limit. In a family friendly residential neighborhood such as the Upper West Side this situation is very unsafe and the CB7 vote indicates that locals want to change that. Since 2008, New York City Department of Transportation has been developing a strategic plan called “Sustainable Streets” that encourages New York communities to redesign their streets to make them safer for pedestrians and bicyclists. In areas where streets have been redesigned, the number of injuries has declined and local businesses say their sales are up.